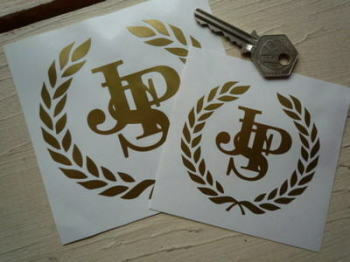 John Player/JPS - I Say Ding Dong Shop - Buy Stickers, Decals & Unique Automobilia. John Player Grand Prix Sticker. 16". John Player Grand Prix Sticker. 8". John Player Special JPS Straight & Shallow Helmet Visor Sunstrip Sticker. 12". 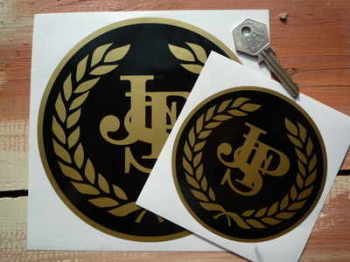 John Player Special Lotus JPS Black & Gold Logo & F1 Car Sticker. 3", 5" or 7". John Player Special Lotus Oblong Handed Stickers. 6.25" Pair. 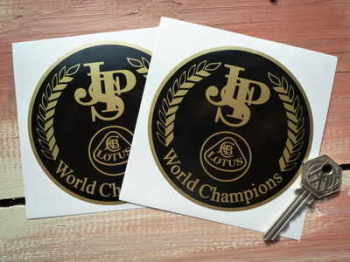 John Player Special Lotus World Champions Circular Stickers. 4" Pair. John Player Special Plain Circular Logo Stickers. 34mm or 37mm Pair. 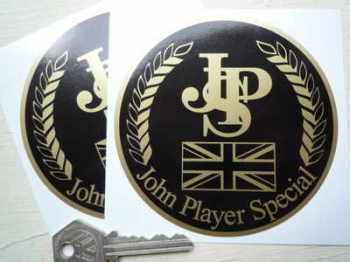 John Player Special Plain Circular Logo Stickers. 4" Pair. John Player Special Plain Circular Sticker. 10". John Player Special Plain Circular Sticker. 8". 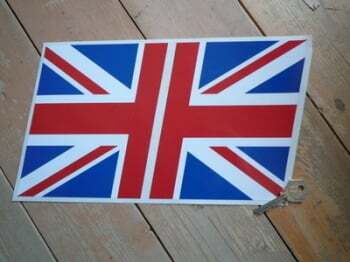 John Player Special Union Jack Circular Stickers. 4" Pair. John Player Special World Champions Circular Stickers. 4" Pair. John Player Special World Champions Stickers. 55mm Set of 4. 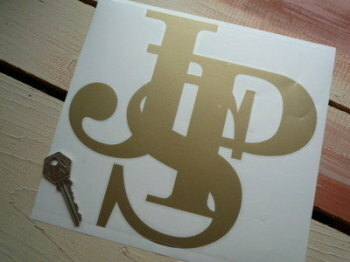 John Player Team Lotus Cut Text Sticker. 5.5". John Player Team Lotus F1 World Champions Circular Window Sticker. 3". John Player Team Lotus F1 World Champions Window Sticker. 10". 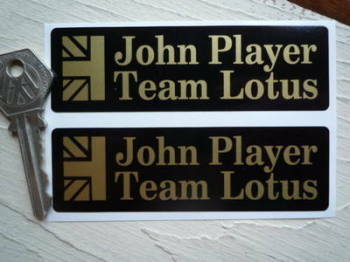 John Player Team Lotus Oblong Sticker. Yellow & Black Style. 14". John Player Team Lotus Oblong Stickers. Yellow & Black Style. 11" Pair.